As of this writing, Z is already in the operating room for about an hour. I left him there crying – well, screaming. I think he was restrained again. And knowing that kid, he loves being able to move freely. Someone restrains him and he will scream and yell. He woke up smiling earlier this morning. He smiles to everyone coming in to check on him, from nurses to doctors and all the hospital staff. 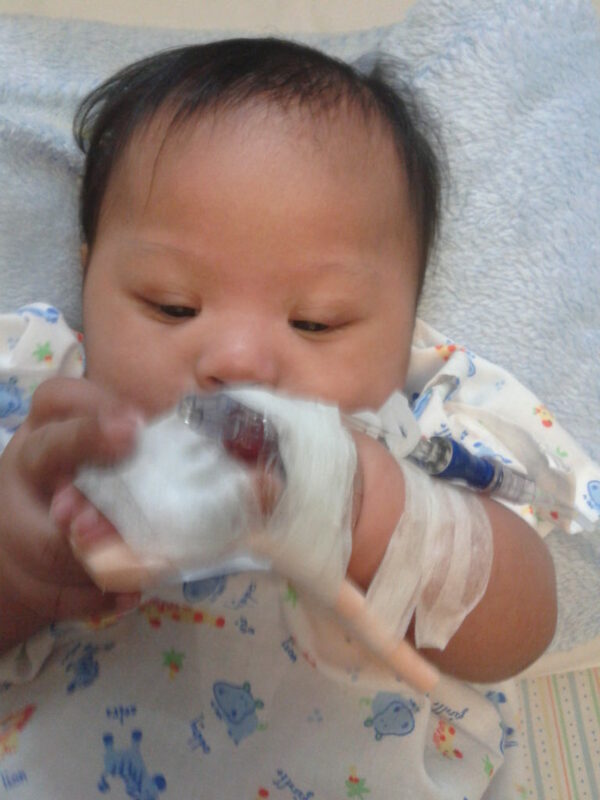 His blood transfusion started at about past 4AM this morning. 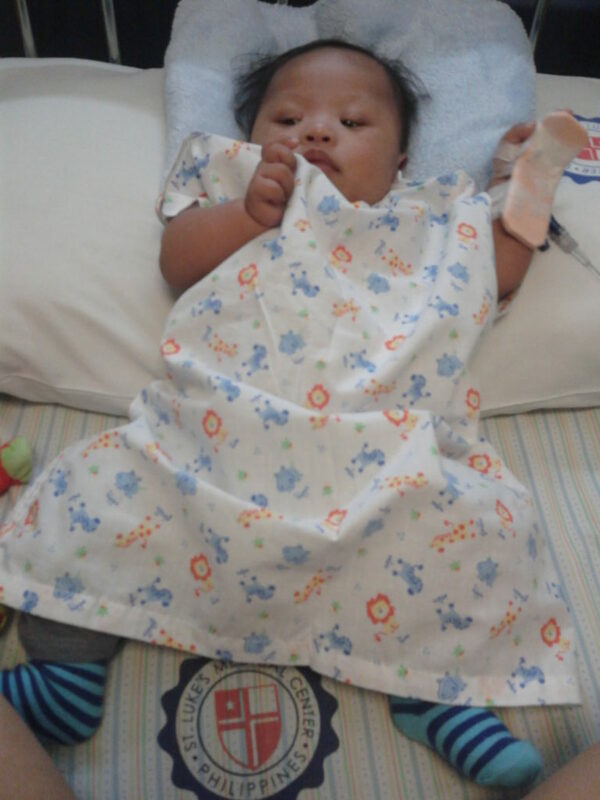 It was to bring his hemoglobin level up since he was short of 0.2. 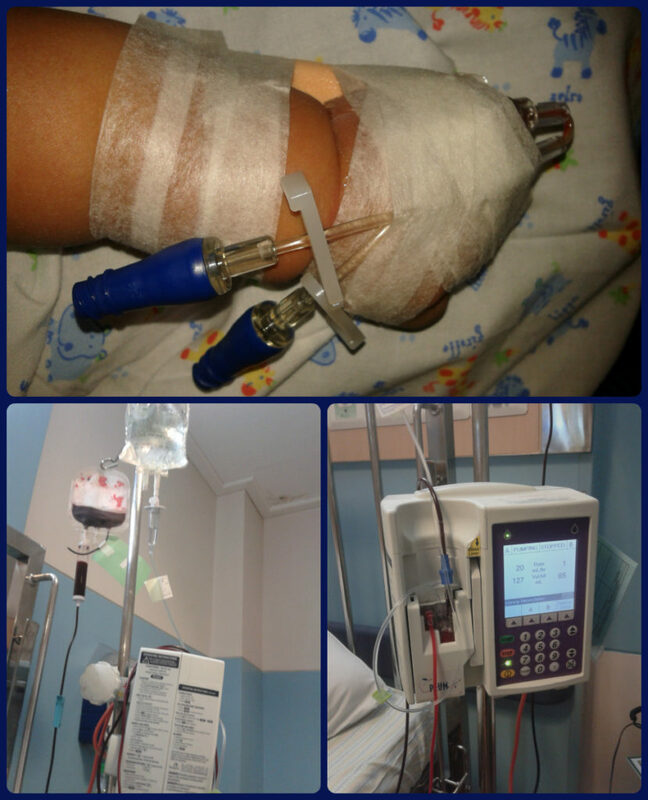 Transfusion was complete a little before 9AM. It was so hard turning him over to the OR staff. But then, it was necessary. Now, I am back in the room to wait. And instead of pacing back and for, I decided to blog instead. Something to keep me busy for a little while. This is so going to be the longest 3-4 hours of my life. I was talking to my baby last night and was telling him that this will be the last hospital confinement that he will go through. 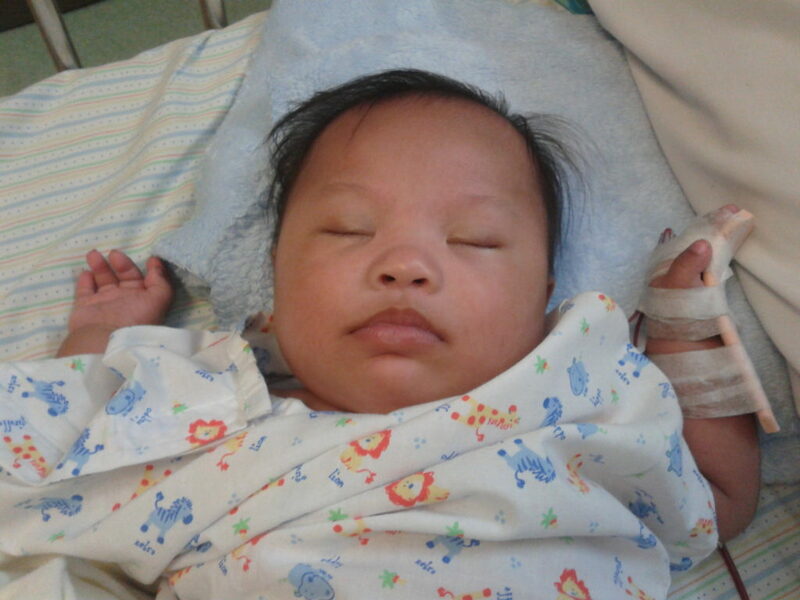 Last night, little Z was all relaxed and playing when he was brought to the treatment room for his IV line insertion. But when he felt that someone was holding his left arm, he started squirming and yelling again. LOL! Yes, my son is a yeller. I thanked the doctor who inserted the IV because it only took one shot to get it in and to extract blood samples for testing as well. 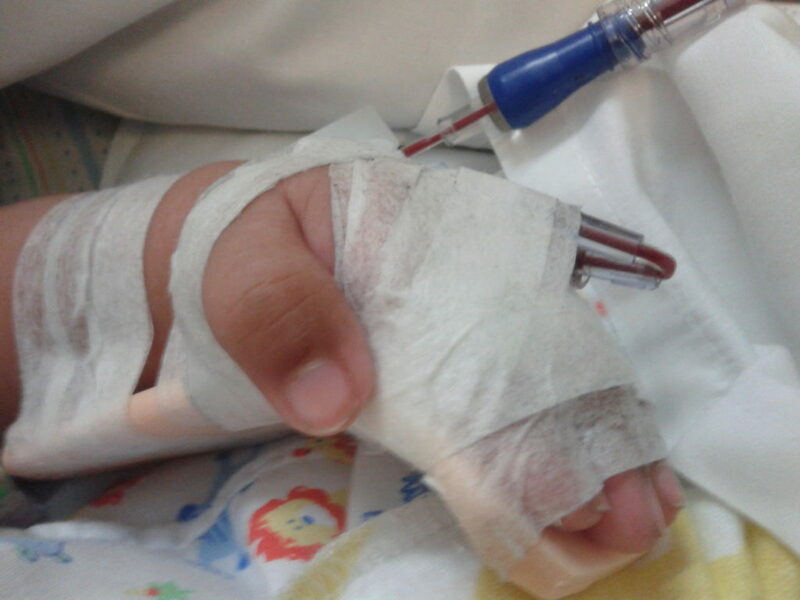 The little boy stopped yelling when the IV line was secured on his hand. Then he started sucking on his exposed right thumb. Haha! Yes, he now prefers sucking his left thumb. We were trying to let him “eat” his right thumb but for some reason, he doesn’t want it now. 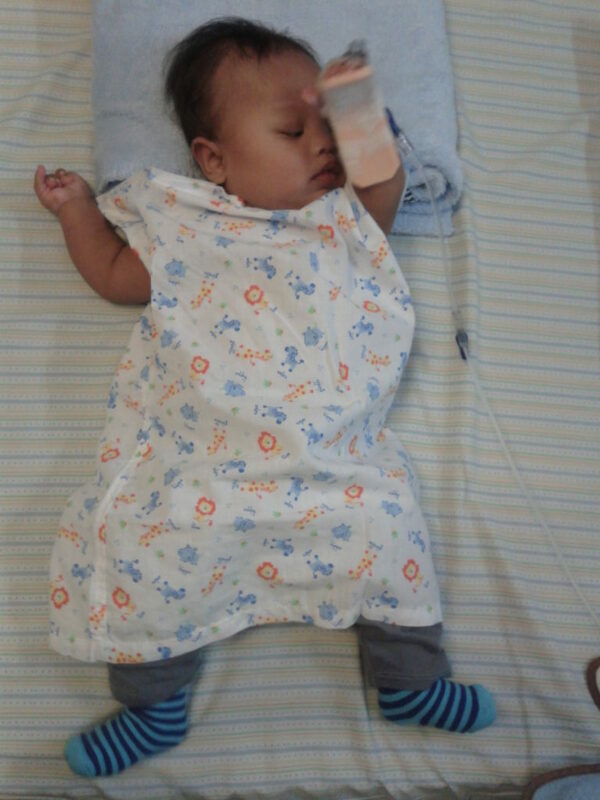 He complained, too, because he could not roll over to his tummy because of his IV line. The doctors and nurses who came in yesterday to check on him were surprised because my baby doesn’t look like 3 months. He is big for his age and a lot stronger for his age too. I wish the time would move a bit faster so my wait will be over… So I can start taking a few snaps of my little Z again. All of the check ups and lab works and other work ups led to this day. It was a long and tedious journey and I am hoping and praying that there will be no further complications and that everything will go better than expected. I just hope that the anesthesia used on Z will have minimal to no effect on him.